Tonight we went out to dinner since we needed to be out of the house from 5:30-6:30. What else are we supposed to do? We went to Max & Erma's. We haven't been there in a while and they had a sign that said kids eat free. I think Mattey was celebrating St. Patrick's Day a day early. Her and Megan both ordered a beer. 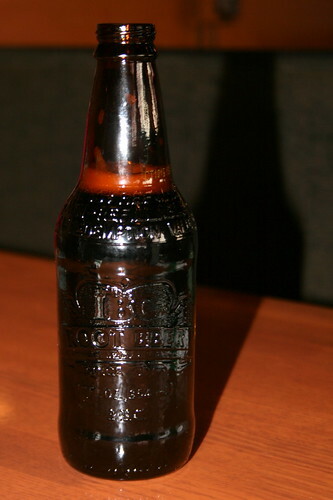 IBC root beer, that is. I've seen that sign, is the food good there? We have never been but I have wanted to check it out. 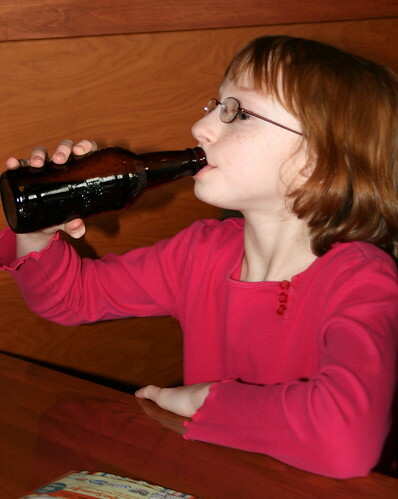 The root beer looks yummy! The food is decent, but they are kind of expensive. They lured us in with the kids eat free (well 2 of the 3 anyway) and it still cost us $35. The root beer is very yummy but not at a price of $2.49 each.